Investing in retirement accounts can have some benefits. There are also things you should take into consideration when investing for retirement. "The earlier you start saving for retirement, the more you'll have later." "Start putting money into your 401k as soon as you can." "Save at least 10% of what you make." Sound familiar? Did you receive advice similar to the examples above? Perhaps you've given that advice. Retirement accounts were designed to help you save for retirement. And, there are benefits to investing early due to the power of compounding returns. However, when it comes to investing for retirement, many people assume that the only way to invest for retirement is inside of a retirement account. I'm a big fan of multiple streams of income, especially in retirement. Having multiple sources of income gives you options and reduces risk. Social Security will likely be available to you. However, it probably won't be enough to provide you with the lifestyle you want. Also, the future of Social Security is unknown. Likely, it will be around, but it could look different from the way it looks today. Counting on a pension to fund your retirement is not an option for the majority of workers today, as the percentage of companies offering pension plans continues to decrease. So if Social Security won't be enough, and you won't have pension income, who will be responsible for providing your retirement income? The reality is that you're the responsible party. It is up to you to be financially prepared for retirement. 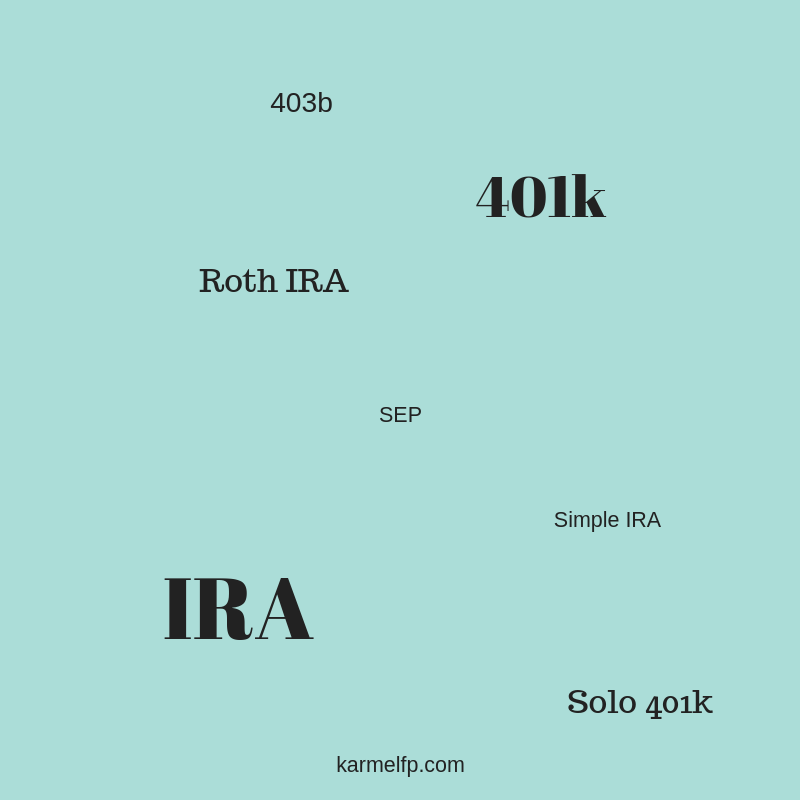 Investing in a retirement account like a 401k is convenient. Many employers offer 401k accounts to their employees. You decide how much to invest out of each paycheck. Then it's automatically deducted from your paycheck and added to your investment account. Easy! With online banking and systematic, electronic transfers, it's simple and convenient to invest in non-employer sponsored retirement accounts, like an IRA. Once the instructions are in place, they happen at the frequency you set up and you don't have to think about when to add money to your investment. You also don't have to discipline yourself to writing a check. It is somewhat of a challenge to take money out of a retirement account like a 401k. Typically, to withdraw money from a 401k, you have to have a reason. You'll need to demonstrate that you have a financial hardship. The IRS considers hardship withdrawal reasons to be "of immediate and heavy need." Be sure to consult with your tax professional prior to taking a withdrawal from your 401k. The accountability factor, the fact that you have to tell someone that you're taking money out, is a deterrent which helps you keep your money invested. Let's not forget about taxes. The threat of taxes and penalties keep most investors from withdrawing from their retirement accounts. You are able to repay your 401k loan. However, you could end up with unintended consequences by having taken a 401k loan. If you don't repay it on time or at the time you no longer work for that employer, in addition to taxes, you could pay an extra 10% in penalties. By taking a loan and then having to repay it, you will have less in your retirement account down the road. Many Americans don't save enough for retirement to begin with, so taking a loan makes that problem even worse. Restricted access, accountability, and tax consequences can actually be advantageous to you as an investor, because they help protect you from your own worst enemy-yourself! From what you've read so far, it might seem like investing inside retirement accounts is a great idea. There are a lot of positives. However, there are also some negatives. In my, nearly 20 year's experience, I've seen people who've self-sabotaged by investing for retirement. Investing for retirement isn't the actual problem. The problem is that they're laser focused on retirement and the use of retirement accounts. "Melissa, I need to take some money out of my account. The furnace went out." "I was in a car accident and need to pay the deductible." They fail to consider life events that could happen before they retire and they don't consider the fact that retirement accounts may not serve them as well as other types of accounts. What type of account to use is based on several factors including when the money will be used and the purpose for which it will be used. Additionally, when it comes to long term goals, growth and volatility expectations need to be considered. For example, it wouldn't be prudent to invest your emergency fund in an aggressive investment inside of a retirement account. What would be more appropriate for emergency money, would be a bank account or a cash/money market balance inside a non-retirement account. The rational being that you aren't subjecting your emergency fund to potential losses due to market volatility and you aren't subjecting yourself to extra taxes or penalties. Loss of a job, an unexpected health event, car accident, and home repairs are important day-to-day risks to consider. It's wise to be financially prepared if or when they happen. Death and disability are real events. When the right planning has been done and the proper accounts are in place, the impact of death or disability, can be significantly less financially devastating to your loved ones. Conventional wisdom tells us to get the tax deduction today. "Why pay more in taxes than you have to?" "You'll be in a lower tax bracket when you retire." What if you aren't? What if your tax bracket is the same, or even more, when you retire? What if income tax rates are increased? What about getting taxed on what you invested plus all of the growth? That's what happens when you invest in a tax deferred retirement account. Yes, you get the tax deduction now. But, you pay taxes on it and ALL the growth. Just knowing that there will be taxes to pay causes significant stress for investors. Somehow, it feels to them, like they're being punished. Or they experience a type of paralysis. They choose not to take money out because they don't want to pay the taxes that would be incurred. Tax consequences effectively control investor behavior when it comes to taking money out of retirement accounts. Put yourself in this situation. You're retired. For years you've dreamed of taking your entire family on a cruise. You got a quote from your travel agent and asked your financial planner how much you'd pay in taxes when you take the withdrawal. She gives you a ball-park amount and you are SHOCKED. You decide against booking the cruise. How do you feel? Do you have regrets? Do you want to be proactive instead of reactive regarding your dreams and taxes? "I don't want to have to pay anymore in taxes than I already do." What is an RMD? RMD stands for Required Minimum Distribution. Based on your age and retirement account value, it's the minimum amount you have to take out of your retirement account every year once you're 70 1/2. Many investors avoid taking money out of their retirement accounts because they don't want the tax consequences. It's especially disturbing to them that even if they don't need the money, they have to take the money out. They take the withdrawal, which creates a taxable event, then turn around and reinvest the withdrawal in another investment account which is better than when it just goes into their already over-funded emergency fund. I encourage my clients to think about something they could do with the money they take in RMDs. They can use it for something fun, like a vacation. The RMD could be a gift to charity. They could use it to help pay for an education. It could be used to pay for insurance premiums like life insurance or long-term care insurance. If your account balance is around $100,000 and you're age 70 1/2 you'll be expected to take out approximately $3600. That might not seem too bad. Take out the $3600 add it to your other taxable income and move on. What if your retirement account is large? What if it's ten times as large as the example? A million dollar IRA means an extra $36,000 of taxable income due to RMDs. That extra income could bump you up to the next tax bracket. Let's say it (the RMD) takes you from the 22% to the 24% federal tax bracket. Now out of your $36,000 RMD, close to $9,000 goes to Uncle Sam. How do your tax deductions (the ones you got decades ago) feel now? Are you at all curious to know if tax deferred investing is right for you? "Melissa, I was thinking about...and I was wondering what options I have and what it would cost me if I took money out of my retirement account." Aside from their home, most American's largest asset is their retirement account (and it is often underfunded). In addition, that retirement money is generally "off-limits" until after age 59 1/2. Without a well-constructed plan in place, people don't have money set aside for life before retirement and are forced to make decisions they'd prefer not having to make. They may choose to go into debt to pay for big-ticket purchases like cars and homes. They may add more risk to the risk of starting a business, when they take out a start-up business loan. Regret and disappointment are common emotions when they realize they can't give their daughter her dream wedding or can't help with college costs the way they would like to. They experience regret each month, as they pay on the loan they took out for their now-divorced daughter's wedding and as they pay on the student loans they co-signed for. They're especially upset because she didn't get her degree! I'm saddened when I hear people say things like, "I'm not going to worry about it [money]" and "I wish I would've known." By not having been intentional ahead of time, many people self-sabotage and end up living life by default. I'm especially gratified in my profession because I get to help clients plan ahead for their life. By understanding what is important to them, we implement strategies to help them pursue their goals. This time of year it is cold and snowy in Michigan and condos in Florida start to sound like a good idea. We can plan for that to be your reality. 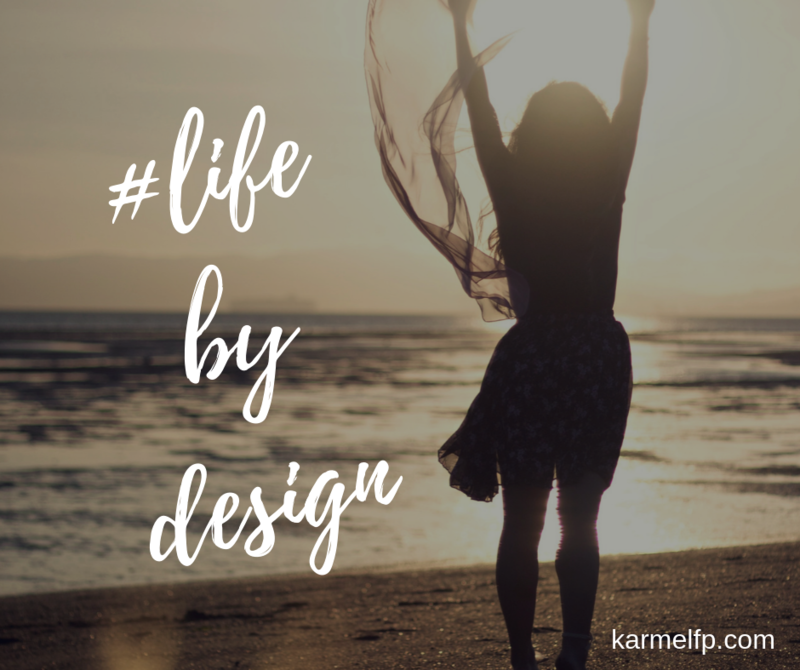 From paying for weddings and college educations for their children to celebrating their own milestone anniversaries, I help clients live their life by design.